Are you suffering from an overload of everything Christmas? Shabbat Shalom! Here are a few books worth taking a look at, whether you are Jewish or not. The Seasonal Jewish Kitchen is the book that could make anyone fall in love with Jewish food. Amelia Saltsman has Iraqi and Romanian heritage and manages to take the best from both of those cuisines along with her own wonderfully creative ideas and California sensibility to craft a cookbook full of “keeper” recipes. The photography is fresh and modern. The crazy good recipes in this book make me think I could actually give up my beloved pork and go kosher! I mean we’re talking about things like Lamb Kebabs with Parsley, Mint and Tahini Sauce, Yemenite Pumpkin and Carrot Soup, Curried Roasted Cauliflower, Freekeh with Kale, Butternut Squash and Smoked Salt. Recipes like Tunisian Lemon Rind Salad condiment and the Blood Orange and Olive Oil Polenta Upside Down Cake are reason enough to treasure this book. Food, Family and Tradition: Hungarian Kosher Family Recipes and Traditions is a love story. It’s a tribute from a daughter to her parents, part biography, mostly cookbook. I fell in love with Budapest and in particular with the wonderful paprika and delicious dumplings, potato dishes and goulashes that are such comfort food. One of the very first recipes in the book caught my eye—a spread with farmers cheese, paprika and garlic. 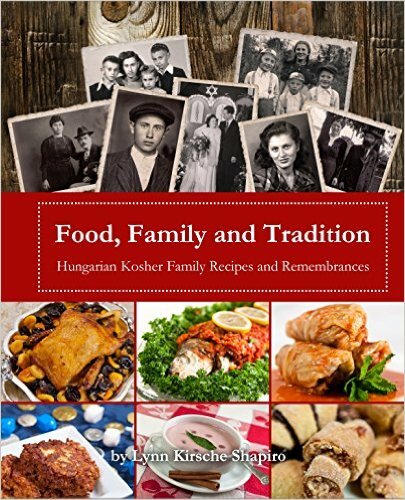 The recipes in the book are a combination of old world and new world, but mostly fairly traditional things like blintzes, kreplach, kugel, veal breast and brisket with a Hungarian accent. These recipes are family heirlooms, but good enough that you might want to add them to your repertoire too. It’s not everyday you come across a cookbook published posthumously. But the family of famed third generation baker George Greenstein made sure his baking secrets would continue on, with the publication of A Jewish Baker’s Pastry Secrets. With clear instructions you too can make babka, bundt cakes, gugelhopf and fillings for cookies and pastries made from poppy seeds, prunes and walnuts. The book offers both cups and weights. 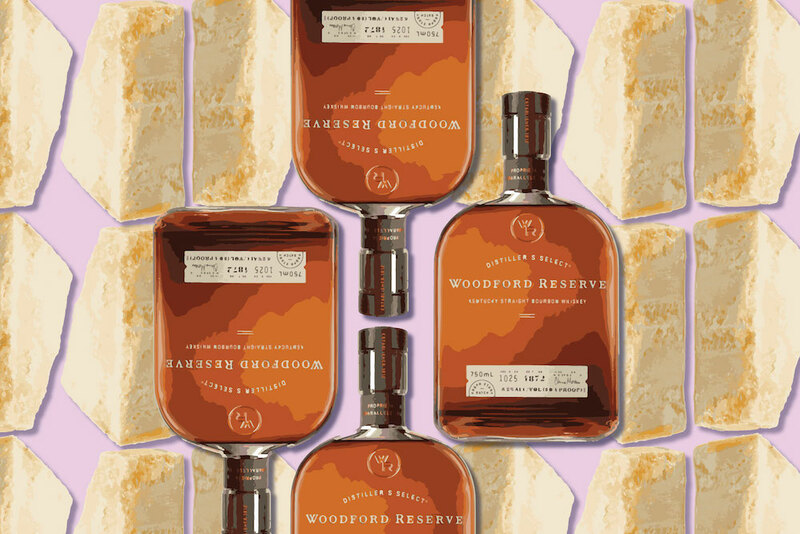 The recipes come from a bakery but are scaled and written for a home baker. 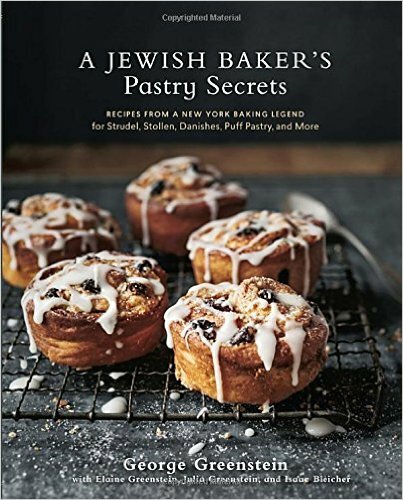 Despite the gorgeous photo on the cover, this book lacks any other photos, but is a great resource for those looking to make professional looking pastries. 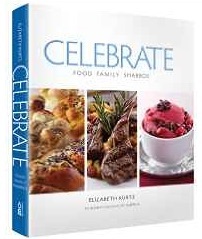 The reason why Celebrate: Food Family Shabbos caught my eye was because is because many of the recipes such as Whole Wheat Challah and Fresh Tuna, Chickpeas and Rosemary Salad and Acorn Squash Stuffed with Jeweled Israeli Couscous feel very modern and while all the recipes are kosher, many recipes include a kosher for Passover variation. Anyone who keeps kosher for Passover can always use a few more recipes to get them through the week. I have already bookmarked the Coffee Braised Brisket, Roasted Chicken with Shiitake Mushrooms and Artichokes and Extreme Chocolate Drop Cookies to make during Passover next year.